4. PRESENTATION: Lower Allen Township’s Stormwater Management Program, as part of the PAG-13 National Pollutant Discharge Elimination System (NPDES) General Permit for Stormwater Discharges from Municipal Separate Storm Sewer Systems (MS4s). a. Check Register of March 29, 2019 in the amount of $168,298.81. b. 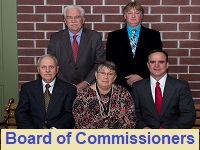 Motion to adopt Resolution 2019-R-10 a resolution of the Board of Commissioners of Lower Allen Township, Cumberland County, Pennsylvania, authorizing the sale of Township property valued over $2,000. c. Tax Collectors March 2019 Monthly Report. a. Discussion: Increase Improvement Security for SLD #2016-04- Highpoint Phase 1.3.
b. Discussion: Indemnification Agreement re: Trinity Place, “paper street”, in the Harrisburg Manor subdivision. c. Discussion and possible action: Accepting a Time Extension from the Applicant for SLD Docket No. 2018-09: Land Development Plan for Jenny’s Salon, 4500 Gettysburg Road, establishing a new deadline of May 28, 2019.
d. Discussion and possible action: Authorizing staff to solicit bids for the 2019 Street Resurfacing Maintenance Project in the Fair Oaks neighborhood. a. 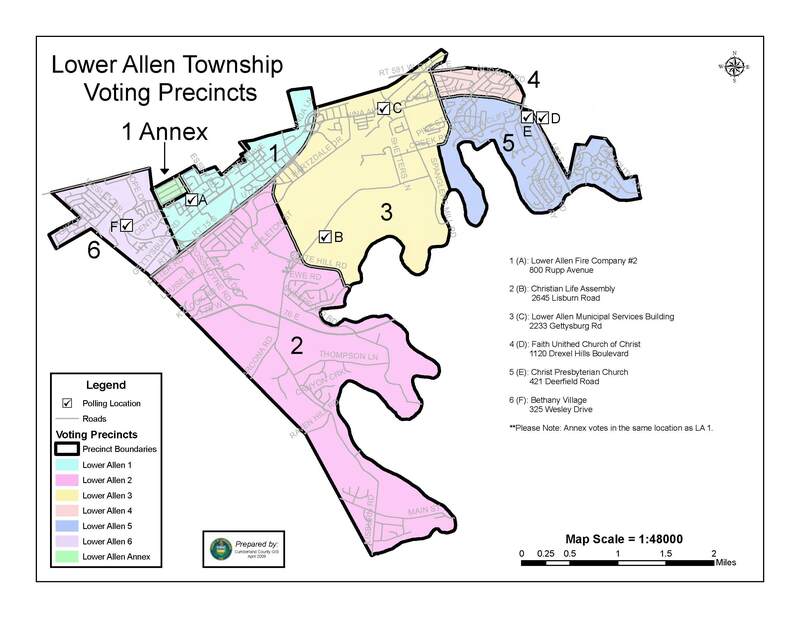 Discussion and possible action: Resolution 2019-R-11, amending the Investment Policy Statements for the Lower Allen Township Police Pension Plan and Lower Allen Township Non-Uniformed Pension Plan. a. Discussion and possible action: Job Description and proposed advertisement of EMS EMT- paramedic positions – Full-time and part-time. a. Discussion: Proclaiming May 2019 to be Building Safety Month by Resolution. b. Zoning Hearing Board Report. a. Discussion: Proposal by the Cohen Law Group to update our Wireless Facilities ordinance.